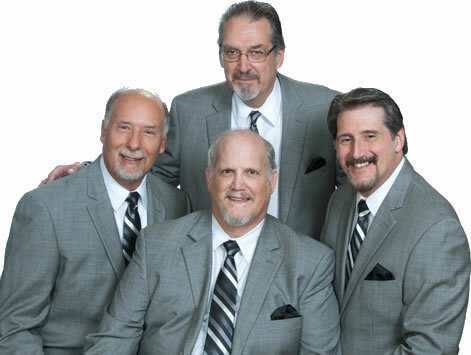 Brothers In Grace, based in south-central Pennsylvania, has ministered throughout the Mid-Atlantic region, delighting audiences with their unique Southern Gospel style music and tight harmony. The members of the quartet feel blessed that the Lord has enabled them to serve Him through a manner they love the best, and which provides a message of encouragement and hope to the listener. Mike Mann, who sings tenor for the group, has been singing since he was a child. Through many phases of his life, including many years in barbershop groups, God has brought him through many trials and temptations to finally become a part of God's ministry in this quartet. You'll be blessed with Mike's clear ministry message. Dave Theis, who sings lead for the group, brings a very good background of vocal accomplishments. His ability to adjust quickly to quartet from choral singing has benefited the quartet over the years. In addition, working with our website and the graphics for our recording projects are also things that Dave enjoys. He joined the quartet in 1999. Ted Wissler, who sings baritone, has a unique God-given gift of insight and leadership. As the last remaining charter member, he provides leadership of the quartet's ministry. His forty-plus years of ensemble and choral singing has prepared him for the difficult role of medium range harmony. Dave Miller sings bass for the group. His love of singing for the Lord started with a family quartet in the early 1970's and grew through the years in the church choir and organizing his church's gospel quartet. He also enjoys barbershop harmony. His first love, that of Southern Gospel style singing, clearly shows as he shares its uplifting message. Brothers In Grace has performed with some of gospel music's best known artists and prominent speakers. Since their inception in 1994, they have recorded seven projects and produced three concert videos. The quartet can tailor a performance to meet your specific needs, including worship services and concerts for churches, community groups, camp meetings and special occasions. They offer a wide range of musical styles ranging from traditional to Southern Gospel. You will be blessed with the ministry the quartet has to offer.